Chandra Cerrito / Art Advisors developed a comprehensive art program for a nine-story new construction medical office building in the Mission Bay district of San Francisco, including interior art and public art. We provided over 80 new artworks and strategically re-located 50 existing artworks throughout the building, including reception areas, pharmacy, lobby spaces, patient rooms, and corridors. Feature artworks include eight large-scale architecturally-integrated super graphic images commissioned by celebrated local plein-air painter Anthony Holdsworth. Each image depicts a different San Francisco neighborhood and is prominently placed in each floor's main reception area, distinguishing the floors and enhancing way-finding within the building. Artworks comprise a diverse range of media, including paintings, wall sculptures, photography, original works on paper, limited edition prints, and custom designed PVC-free wall decals. 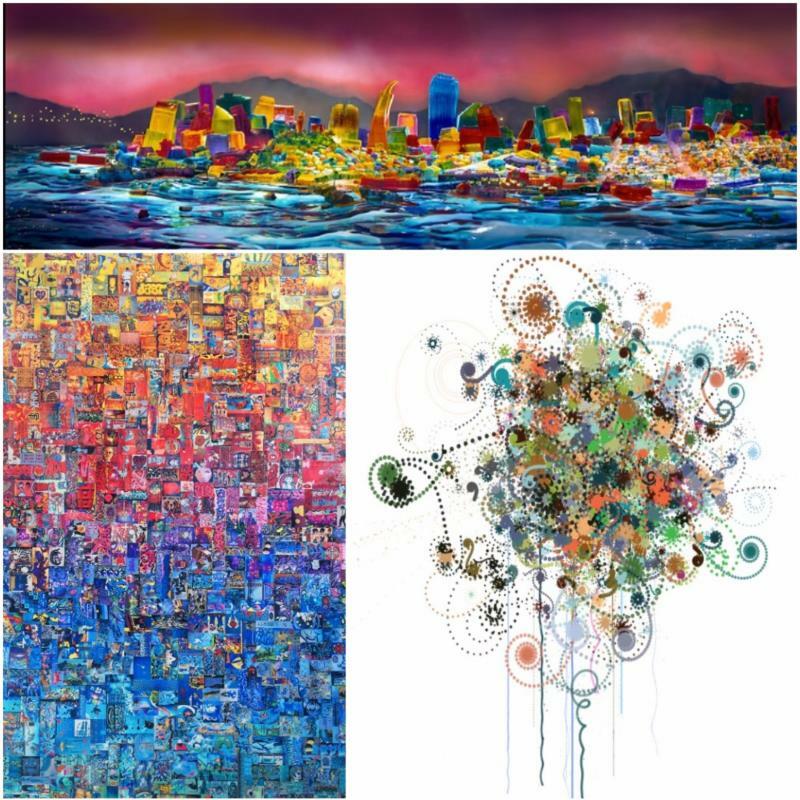 The entire collection responds to the hospital's healing environment and the Client's direction to incorporate vibrant colors, artists who reside in the local communities served, and artworks that reflect the city's vibrant multicultural character. The pediatrics department serves a wide range of ages, from infants to young adults. Artwork was selected to appeal to both juvenile and teen tastes. Custom designed PVC-free wall decals by Joyce Hsu dance along the corridors while other artworks, decals and wall super graphics brighten up the exam rooms and waiting areas. Detailed artwork images enable a sense of discovery for frequent visitors. To meet the city's public art requirement, award-winning artist Cliff Garten was commissioned to create a monumental site-specific stainless steel and LED sculpture installed in the center of a public park adjacent to the building. Garten’s sculpture references a swarm of monarch butterflies, which regularly migrate through this area, as a metaphor for the diverse San Francisco community compromised of people from all over the globe.